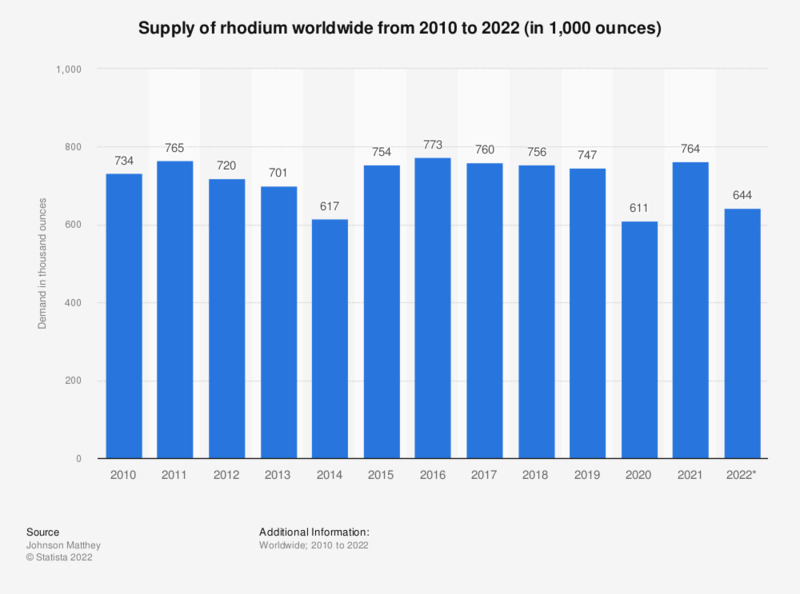 This statistic displays the total supply of rhodium worldwide from 2010 to 2017, with a forecast for the 2018 supply. Rhodium is a platinum-group metal. In 2017, the total global supply of rhodium amounted to 759 thousand ounces.